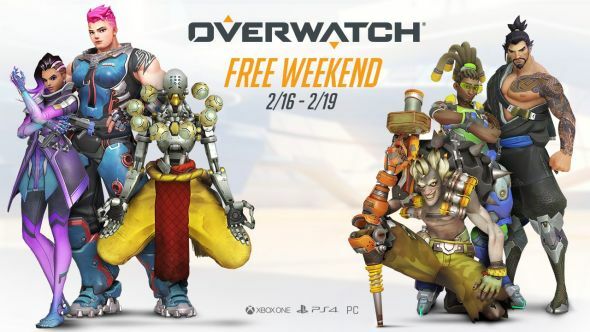 Overwatch is getting another free weekend. If you’ve still not picked up Blizzard’s hero-shooter, you’ll get the chance to try it completely free from February 16. Here’s a list of the best Overwatch heroes to get you started this weekend. The global free weekend kicks off at 19:00 GMT (11:00 AM PST) on Friday, February 16, and will end just before midnight on Monday, February 19. New players will have access to all of Overwatch’s heroes, every map, and a selection of features. You’ll be able to participate in Quick Play, Custom Games, Arcade modes (including Capture the Flag), and loot boxes, the contents of which you’ll retain if you decide to purchase the game. New players won’t have access to ranked (obviously), but any progress you make towards competitive play will carry over if you level up during the free weekend. If you want to play on PC, you’ll need to make sure that you’ve got a Battle.net account, and have the client downloaded. It’s free to make an account, but you might want to make sure you’ve got the client installed before Friday. You can check out further instructions, as well as an FAQ about the free weekend on the Overwatch blog.